The study of Psilocybin as a viable CAM therapy for reducing anxiety in cancer patients. I want to explore the possible role of Psilocybin for use as a CAM therapy specifically to help cancer patients, particularly advanced stage cancer patients, who need to cope with their anxiety often associated with their condition. I will review the current and past literature and scientific studies that have been conducted on the subject and present conclusions based solely on the evidence found in the literature. In recent years, there has been a growing awareness that the psychological, spiritual, and existential crises often encountered by patients with cancer and their families need to be addressed more vigorously.1– 4 From the late 1950s to the early 1970s, research was carried out exploring the use of hallucinogens to treat the existential anxiety, despair, and isolation often associated with advanced-stage cancer.5– 15 Those studies described critically ill individuals undergoing psychospiritual epiphanies, often with powerful and sustained improvement in mood and anxiety as well as diminished need for narcotic pain medication. Incidence of the Disorder / Problem. What is the Challenge? Despite these promising results, there has been no follow-up research. 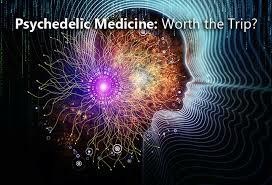 There is also a serious challenge that occurs with all Psychedelic Research as a result of them being classified as Schedule I Drugs by the DEA. The main issue with current treatments is the side effects that occur for people who are often already on several pharmaceutical drugs as a result of their cancer treatments. Twelve subjects with advanced-stage cancer and a DSM-IV28 diagnosis of acute stress disorder, generalized anxiety disorder, anxiety disorder due to cancer, or adjustment disorder with anxiety were recruited into a within-subject, double-blind, placebo-controlled study to examine the safety and efficacy of psilocybin in the treatment of psychological distress associated with the existential crisis of terminal disease. Participants were recruited through Internet postings, flyer distribution, presentations at local hospitals and wellness centers, oncologist referrals, and study registration on clinicaltrials.gov and by contacting local patient support agencies and health care providers. Medical and psychiatric screening including brain magnetic resonance imaging, communication with treating oncologists, formal psychiatric diagnostic interviews, and informed consent were required for enrollment into the study. Subjects were not paid for their participation. The institutional review board of the Los Angeles Biomedical Research Institute, Harbor-UCLA Medical Center, Torrance, California, approved the protocol and monitored the study. Of the 12 subjects, 11 were women. Subjects’ ages ranged from 36 to 58 years. Primary cancers included breast cancer in 4 subjects, colon cancer in 3, ovarian cancer in 2, peritoneal cancer in 1, salivary gland cancer in 1, and multiple myeloma in 1. All subjects were in advanced stages of their illness. The duration of their primary cancers ranged from 2 months to 18 years. Eight subjects completed the 6-month follow-up assessment, 11 completed at least the first 4 months of assessment, and all 12 completed at least the first 3 months of follow-up. Two subjects died of their cancer during the follow-up period, and 2 others became too ill to continue participating. The study was conducted from June 2004 to May 2008. By the time of submission of this report in 2010, 10 of the 12 subjects had died. Exclusion criteria included central nervous system involvement of the cancer, severe cardiovascular illness, untreated hypertension, abnormal hepatic or renal function, diabetes, lifetime history of schizophrenia, bipolar disease, other psychotic illness, and anxiety or affective disorders within 1 year prior to the onset of cancer. Medication contraindications included active cancer chemotherapy, antiseizure medications, insulin and oral hypoglycemics, and psychotropic medications in the previous 2 weeks. Subjects also were asked to refrain from taking any medications the day of and the day after the experimental treatment sessions, except for prescription or over-the-counter nonnarcotic pain medications at any time and narcotic pain medications up to 8 hours before and 6 hours after administration of the experimental medicine. Four subjects had no prior hallucinogen experience. Of the remaining 8, 4 had hallucinogen experience more than 30 years ago. Two had their last experience more than 5 years ago, and the other 2 had taken a hallucinogen within the year prior to their participation in the study. Hallucinogens taken included LSD (7 subjects), hallucinogenic mushrooms (5 subjects), peyote (2 subjects), and ayahuasca (2 subjects). Subjects met with study staff to review the purpose and intention of participation in the study, the treatment goals, the structure of the experimental treatment sessions, and critical issues to be examined during the course of the treatments. Subjects were informed of the range of emotional reaction that might be experienced while under the influence of psilocybin, including challenging psychological issues that might arise, and were informed that the purpose of the investigation was to determine whether psilocybin could ameliorate the anxiety associated with their advanced-stage cancer. Additional goals of these meetings included establishing a comfortable level of rapport and trust between the patient and research personnel, reviewing significant life issues in the patient’s history, and the nature and status of present relationships and concerns. All experimental sessions took place in a hospital clinical research unit in a room decorated with fabric wall hangings and fresh flowers to provide a pleasing and comfortable environment. Subjects were admitted on the afternoon of the day prior to treatment. A Holter cardiac monitor was attached for 24 hours beginning at admission. Following medical and nursing evaluations, the treatment team met with the subject to review the procedure for the treatment session (described later), confirm the subject’s personal intentions, and answer any additional questions. Subjects spent the night in the room on the research unit and were provided dinner and a light breakfast before 06:30 hours. On the morning of treatment, the therapeutic team met with the subject to administer presession instruments, attend to patient comfort, and review treatment procedures for the session one final time. Each subject acted as his or her own control and was provided 2 experimental treatment sessions spaced several weeks apart. They were informed that they would receive active psilocybin (0.2 mg/kg) on one occasion and the placebo, niacin (250 mg), on the other occasion. Psilocybin and placebo were administered in clear 00 capsules with corn starch and swallowed with 100 mL of water. A niacin placebo was chosen because it often induces a mild physiological reaction (eg, flushing) without altering the psychological state. The order in which subjects received the 2 different treatments was randomized and known only by the research pharmacist. Treatment team personnel remained at the bedside with the subject for the entire 6-hour session. Psilocybin or placebo was administered at 10:00 hours. The subject was encouraged to lie in bed wearing eye shades during the first few hours as well as to put on headphones to listen to preselected music. Subjects were allowed to remain undisturbed until each hour point, when treatment staff checked to inquire how they were doing. Contact was generally brief; subjects had been advised that there would be ample opportunity after the session and in subsequent days, weeks, and months to discuss the content of the experience. During hourly check-ins, heart rate (HR) and blood pressure (BP) measurements also were taken. Noncaffeinated clear liquids or juices were permitted. At the conclusion of the 6-hour session, subjects discussed the subjective aesthetic, cognitive, affective, and psychospiritual experiences they had during the session and completed rating instruments. Various self-report inventories and questionnaires were administered from 2 weeks prior to the first treatment session to up to 6 months after the second. Treatment team personnel maintained contact with subjects for the entire 6-month follow-up period, including regularly scheduled monthly telephone calls to update data on adverse events, concomitant medications, and evolving medical and psychological status. Subjects’ BP and HR were measured 30 minutes before drug ingestion, immediately before drug administration, and at hourly intervals for the next 6 hours. Temperature was measured just prior to drug administration and 6 hours later at the conclusion of the session. The following psychological measures were administered the day before each of the experimental sessions: the Beck Depression Inventory (BDI), Profile of Mood States (POMS), and State-Trait Anxiety Inventory (STAI). The POMS, STAI, 5-Dimension Altered States of Consciousness profile (5D-ASC), and Brief Psychiatric Rating Scale were administered at the conclusion of the experimental sessions. The day after the session, the BDI, POMS, and STAI were readministered. Finally, the BDI, POMS, and STAI were administered again 2 weeks after each session and at monthly intervals for 6 months after the final session. The POMS describes feelings individuals have, with the subject indicating his or her mood during the past week, including the present day. The POMS Brief, used for this study, is a shorter version of the original POMS Standard.30 Subjects were instructed to fill out the POMS and BDI in reference to their feelings during the past week. The STAI Form Y is a widely used self-report instrument for assessing anxiety in adults. It includes separate measures of state and trait anxiety.31 The STAI evaluates the essential qualities of feelings of apprehension, tension, nervousness, and worry. The STAI differentiates between the temporary condition of state anxiety and the more general and long-standing quality of trait anxiety. The STAI state anxiety subscale asks for feelings at the moment of filling out the questionnaire, and the STAI trait anxiety subscale asks subjects to indicate how they generally view themselves. The 5D-ASC rating scale measures alterations in mood, perception, experience of self in relation to environment, and thought disorder.33 The ASC items are grouped into 5 subscales comprising several items, including the following: (1) oceanic boundlessness, measuring derealization and depersonalization accompanied by changes in affect ranging from elevated mood to euphoria; (2) anxious ego dissolution, measuring ego disintegration associated with loss of self-control, thought disorder, arousal, and anxiety; (3) visionary restructuralization, including hallucinations, pseudohallucinations, synesthesia, changed meaning of perceptions, and facilitated recollection and imagination; (4) auditory alterations, with acoustic alterations and alterations of auditory experiences; and (5) reduction of vigilance, associated with drowsiness, reduced alertness, and related impairment of cognition. Subjects filled out the 5D-ASC at the conclusion of the session. Raw BDI, POMS, and STAI data were analyzed using 2-way analysis of variance (ANOVA) with drug as the within-subject factor and day as a repeated measure. When the 2-way ANOVA detected significant main effects of drug or interactions between day and drug, post hoc pairwise comparisons were performed by 1-way ANOVA for each day. The 5D-ASC data were analyzed using 1-way ANOVA with drug as a within-subject factor. Item clusters comprising the oceanic boundlessness, anxious ego dissolution, and visionary restructuralization dimensions also were analyzed using 1-way ANOVA.34 The Brief Psychiatric Rating Scale data were analyzed using 1-way ANOVA with drug as a within-subject factor. The HR and BP data were analyzed using 2-way ANOVA with drug as a within-subject factor and time as a repeated measure. When the 2-way ANOVA detected significant main effects of drug or interactions between time and drug, pairwise post hoc comparisons were performed by 1-way ANOVA at each time. For the measures listed earlier, significance was demonstrated by surpassing an α level of .05. Paired t tests were used to assess whether niacin placebo and psilocybin produced effects on HR and BP compared with the predrug time, and significance was demonstrated for these multiple comparisons by surpassing an α level of .025. For the BDI, POMS, and STAI, data from each of the 6 follow-up times were compared with the baseline value obtained on the day before the first treatment session, using t tests. For the follow-up data, significance was demonstrated by surpassing an α level of .05. The administration of psilocybin at a dose of 0.2 mg/kg induced a mild but statistically significant elevation of HR (psilocybin × time interaction: F7,70 = 2.40, P = .03), systolic BP (F1,11 = 25.39, P < .001), and diastolic BP (F1,11 = 5.94, P = .03) when compared with niacin placebo. Elevation of HR peaked 2 hours after psilocybin administration, with a mean (SEM) peak effect of 81.5 (5.8) beats/min, which was statistically significant (F1,11 = 11.31, P < .007) compared with 70.4 (4.3) beats/min during placebo sessions (Figure 1A). Blood pressure also peaked at the 2-hour point, with mean (SEM) peak systolic BP during psilocybin sessions measuring 138.9 (6.4) mm Hg (compared with 117.0 [4.3] mm Hg during niacin placebo sessions) (Figure 1B) and mean (SEM) peak diastolic BP of 75.9 (3.4) mm Hg during psilocybin sessions (compared with 69.6 [2.7] mm Hg during niacin placebo sessions) (Figure 1C). Holter monitor recordings during the psilocybin sessions showed no sustained tachyarrhythmias or heart block and were consistent with findings during active placebo sessions. Compared with the predrug time, niacin modestly depressed diastolic BP 1 hour after administration (Figure 1C) with a rebound over the next hour but had no effect at other times. The 5D-ASC demonstrated marked subjective differences between the psilocybin and placebo experiences. Psilocybin particularly affected the oceanic boundlessness (F1,11 = 33.12, P < .001) and visionary restructuralization (F1,11 = 18.95, P = .001) dimensions (Figure 2A). Psilocybin had smaller but significant effects on anxious ego dissolution (F1,11 = 4.91, P = .049) and auditory alterations (F1,11 = 5.93, P = .03). The item clusters with marked differences between the subjective states produced by psilocybin and niacin included a significant increase (P < .05) in psilocybin-invoked states of positive derealization, positive depersonalization, altered sense of time, positive mood, manialike experiences, elementary hallucinations, visual pseudohallucinations, synesthesia, changed meaning of percepts, facilitated recollection, and facilitated imagination. Subscales with no appreciable differences between intrasubjective states induced by the 2 treatments included anxious derealization, thought disorder, delusion, fear of loss of thought control, and fear of loss of body control (Figure 2B). For the BDI, there was an overall interaction of psilocybin and day that approached but did not attain statistical significance (F1,11 = 3.75, P = .08). There was no appreciable change from 1 day prior to placebo administration to 2 weeks after experimental treatment, whereas a trend was observed after psilocybin administration, from a mean (SEM) score of 16.1 (3.6) one day before treatment to 10.0 (2.7) two weeks after treatment (Figure 3A). As shown in Figure 3B, BDI scores dropped by almost 30% from the first session to 1 month after the second treatment session (t11 = −2.17, P = .05), a difference that was sustained and became significant at the 6-month follow-up point (t7 = 2.71, P = .03). The POMS similarly revealed a trend for reduced adverse mood tone from 1 day before treatment with psilocybin to 2 weeks later, a difference that was not seen after placebo (drug × time interaction: F3,33 = 2.71, P = .06) (Figure 4A). Paired post hoc tests revealed that mean (SEM) POMS scores were elevated (F1,11 = 7.48, P = .02) 1 day before psilocybin treatment (11.3 [3.1]) compared with 1 day before placebo (4.5 [2.0]) and demonstrated that this difference disappeared 6 hours after psilocybin administration. Improvement of mood, indicated by reduced POMS scores, was observed in 11 subjects after administration of psilocybin. The elevation of POMS scores 1 day before psilocybin treatment occurred regardless of whether the subjects were treated with placebo or psilocybin first (ie, there was no interaction between treatment order and drug). As shown in Figure 4B, POMS scores were not altered during the 6 months of follow-up compared with the day before the first treatment session. The STAI revealed no significant changes from 1 day before to 2 weeks after treatment, although a substantial but nonsignificant decrease was evident for the state anxiety subscale 6 hours after psilocybin administration, which was not observed after placebo (Figure 5A and C). Although minimal change was observed in the STAI state anxiety score for follow-up data, a sustained decrease in STAI trait anxiety was observed for the entire 6-month follow-up, reaching significance at the 1-month (t11 = 4.36, P = .001) and 3-month (t10 = 2.55, P = .03) points after the second treatment session (Figure 5B and D). The Brief Psychiatric Rating Scale at the end of the experimental session revealed no appreciable difference between psilocybin and placebo administration. The initial goals of this research project were to establish feasibility and safety for a hallucinogen treatment model in patients with advanced-stage cancer and anxiety. Following discussion with federal and state regulatory agencies as well as hospital institutional review board and research committees, a modest 0.2-mg/kg psilocybin dose was chosen. Although not comparable to higher doses of hallucinogens administered in the past to severely ill patients, the dose used here was still believed capable of inducing an alteration of consciousness with potential therapeutic benefit while optimizing patient safety. Determining safe parameters with this novel treatment paradigm is critical to establishing a strong foundation for this field of study that would allow for future investigations. Consistent with previous research, we found no untoward cardiovascular sequelae in our subject population.19 Minor HR and BP elevations after psilocybin administration were evidence only of a mild sympathomimetic effect. Holter monitoring did not identify increased cardiac arrhythmias in comparison with niacin placebo, even in subjects who presented with some baseline cardiac arrhythmia. Niacin may acutely lower BP through vasodilation35 but had minimal effects on BP and HR in our subjects, except for a reduction in diastolic BP that was noted 1 hour after administration of niacin. This transient effect may have contributed to our detection of a significant psilocybin effect at that time but cannot explain the significant effects of psilocybin over the subsequent intervals because the initial niacin-induced reduction of diastolic BP did not persist. We also observed no adverse psychological effects from the treatment. All subjects tolerated the treatment sessions well, with no indication of severe anxiety or a “bad trip.” The fact that psilocybin produced only modest effects on the anxious ego dissolution scale of the 5D-ASC confirmed this conclusion. When hallucinogens were administered to patients with terminal cancer in the 1960s and early 1970s, the occurrence of a profound psychospiritual experience was correlated with therapeutic outcome.10,12 Such transcendent states of consciousness are usually associated with higher doses of hallucinogens, so our expectation of demonstrating efficacy was limited.21 Common themes reported by subjects included examining how their illness had impacted their lives, relationships with family and close friends, and sense of ontological security. In addition, subjects reported powerful empathic cathexis to close friends and family members and examined how they wished to address their limited life expectancy. In monthly follow-up discussions, subjects reflected on insights and new perspectives gained during their psilocybin treatment. However, the frequency of these reports was not quantified. Although past researchers reported more pronounced therapeutic effects with a higher-dose model, even the lower dose of psilocybin used in the current study gave some indication of therapeutic benefit in quantitative psychological evaluations. In particular, we found that the STAI trait anxiety subscale demonstrated a sustained reduction in anxiety that reached significance at the 1- and 3-month points after treatment. This reduction might reflect a reduced level of stress and anxiety over time. Although the state anxiety on the STAI showed a modest elevation at 6 months, the change was not statistically significant and might have resulted from the deteriorating medical status of most subjects over time. Mood also improved for 2 weeks after treatment with psilocybin, with sustained improvement on the BDI reaching significance at the 6-month follow-up point. The POMS scores also reflected improved mood 2 weeks after receiving psilocybin. Although not statistically significant, there was a trend toward positive outcome. With a larger cohort of subjects and use of a higher dose of psilocybin, it seems possible that significant results would be obtained on these measures. Compared with placebo sessions, POMS scores were elevated in subjects immediately prior to psilocybin administration. The reasons for this difference in POMS scores 1 day before administration are not entirely clear. Subject expectations were unlikely to have played a role in the elevation of the POMS scores on the day before treatment because the elevation occurred regardless of treatment order. The most likely explanation for the elevation of POMS scores prior to treatment with psilocybin may be that subject randomization was not complete with regard to this instrument. Nonetheless, POMS scores declined after administration of psilocybin in 11 of 12 subjects, suggesting that psilocybin produces mood-elevating effects that persist after the acute effects of the drug. Another focus of the study was the effect of a 0.2-mg/kg psilocybin dose on somatic symptoms, particularly pain perception. In contrast to previous investigations, we did not find robust reductions in pain perception or lessened need for narcotic pain medication. In the 2 weeks following experimental treatment sessions, several subjects reported lessened pain, whereas others did not. There was no apparent difference between subjects treated with psilocybin and those treated with placebo (data not shown). Although this modest dose of psilocybin was not observed to impact pain, given the impressive reports of earlier researchers,6 this measure would certainly be indicated for study with higher doses. Although we used a within-subject, double-blind, placebo-controlled design, the drug order was almost always apparent to subjects and investigators whether the treatment was psilocybin or placebo. In fact, one consistent subject critique of the study was that the placebo sessions were perceived as far less worthwhile than those with psilocybin. Many of the subjects suggested that future protocols provide the opportunity for a second psilocybin session several weeks after the first. The general consensus among subjects was that a follow-up experience with psilocybin would reinforce and extend the perceived therapeutic effects of the initial session. Future studies also will need to address the issue of controlling for a placebo effect that might otherwise be attributed to the active treatment. Given the subjects’ grave prognosis and limited life expectancy, we decided to provide all subjects with an opportunity to experience the experimental medicine and to serve as their own control. Although we believed that to be the ethical course to take, given the life circumstances subjects were encountering, the protocol design contains some inherent limitations. A better experimental design might incorporate an independent control group, receiving only either placebo treatment or a conventional psychopharmacological intervention. Although there is no question that the extensive attention paid to the subjects influenced outcomes, the unique qualities of the psilocybin experience in facilitating strong therapeutic bonds and ameliorating underlying psychological demoralization are important factors worthy of further exploration. Another limitation of this study was variability in the extent of contact with subjects after treatment. A minimum contact of 1 hour monthly was established, but variability in additional ad hoc communication depended on the needs and wishes of the subjects, some of whom were near death compared with others who were more functional. Despite the limitations, this study demonstrates that the careful and controlled use of psilocybin may provide an alternative model for the treatment of conditions that are often minimally responsive to conventional therapies, including the profound existential anxiety and despair that often accompany advanced-stage cancers. A recent review from the psilocybin research group at Johns Hopkins University describes the critical components necessary for ensuring subject safety in hallucinogen research.36 Taking into account these essential provisions for optimizing safety as well as adhering to strict ethical standards of conduct for treatment facilitators, the results provided herein indicate the safety and promise of continued investigations into the range of medical effects of hallucinogenic compounds such as psilocybin. Correspondence: Charles S. Grob, MD, Department of Psychiatry, Harbor-UCLA Medical Center, Box 498, 1000 W Carson St, Torrance, CA 90509 (cgrob@labiomed.org). Submitted for Publication: August 17, 2009; final revision received June 28, 2010; accepted July 4, 2010. Author Contributions: Dr Grob had full access to all of the data in the study and takes responsibility for the integrity of the data and the accuracy of the data analysis. Financial Disclosure: Drs Grob and Greer are on the board of directors of the Heffter Research Institute. Dr Greer had no approval/disapproval authority over either the manuscript or the reported data. Funding/Support: This work was supported by the Heffter Research Institute; the Betsy Gordon Foundation; the Nathan Cummings Foundation, with the support and encouragement of James K. Cummings; and grant M01-RR00425 from the National Institutes of Health to the Harbor-UCLA General Clinical Research Center. Previous Presentation: These findings were presented at the annual meeting of the Royal College of Psychiatrists; June 4, 2009; Liverpool, England. Additional Contributions: Ira Lesser, MD, David Nichols, PhD, Mark Geyer, PhD, and Roland Griffiths, PhD, provided comments on the manuscript. American College of Neuropsychopharmacology. “Active ingredient in magic mushrooms reduces anxiety, depression in cancer patients.” Science Daily. http://www.sciencedaily.com/releases/2015/12/151210181635.htm (accessed September 14, 2016).